The Kino Flo high grade plastic Honeycomb Louver controls and focuses the light which narrows the light spread with minimal light loss. 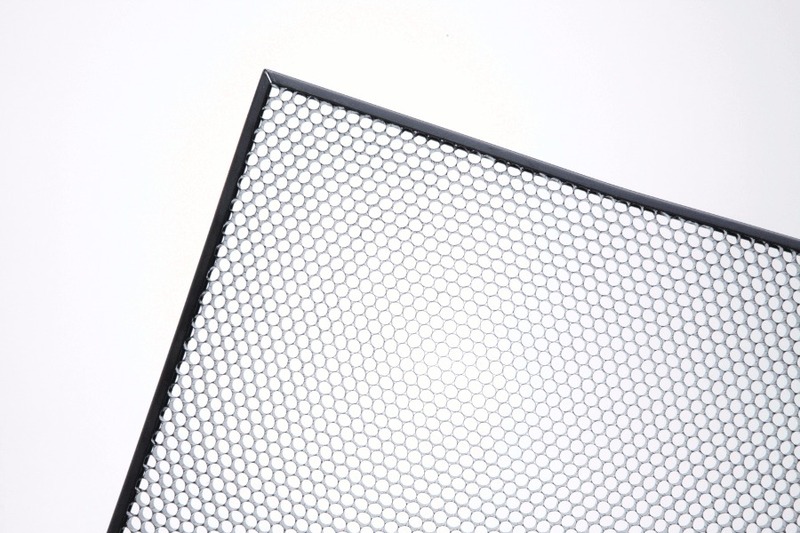 A 90° and 60° Honeycomb Louver is also available. Controlling the beam spread with Louvers is far more efficient than barndoors and takes up far less room considering the minimal light loss with louvers.